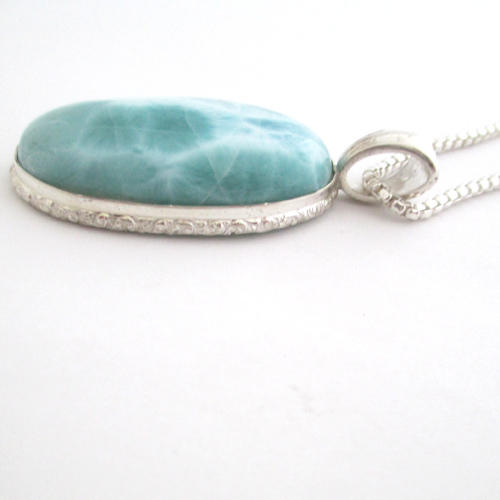 This larimar necklace will make the perfect gift for your Mom this Mother’s Day. 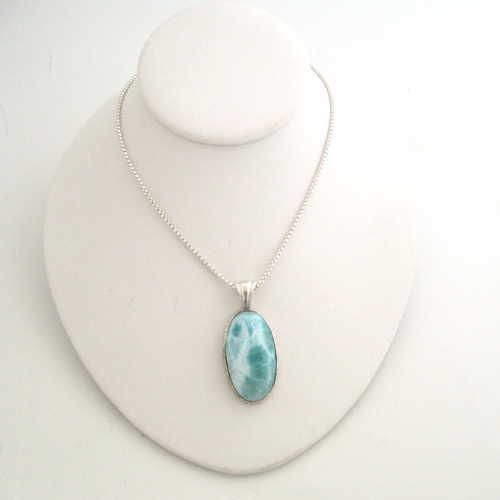 Drawing its roots from the islands some say the stone has calming properties. 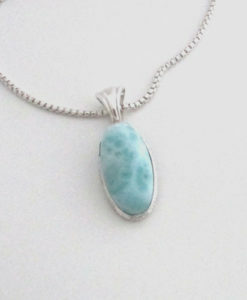 A piece of Larimar can be worn as a reminder to take it easy and relax. 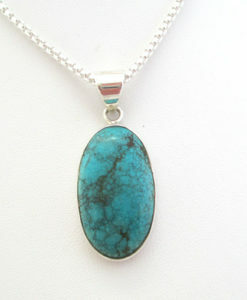 The Larimar measures 2″ by 1″ and is a AAA quality gemstone. 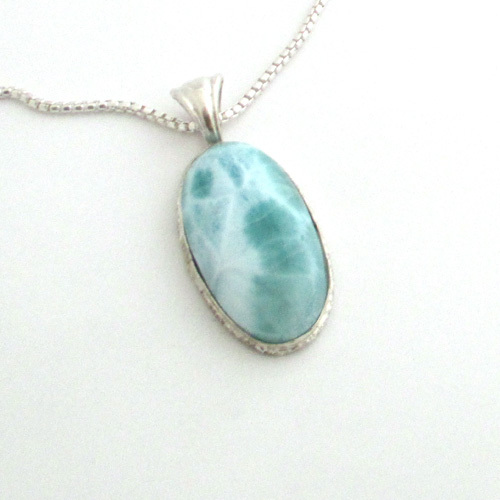 The Larimar is set in a handcrafted sterling silver bezel that is made with fine silver. 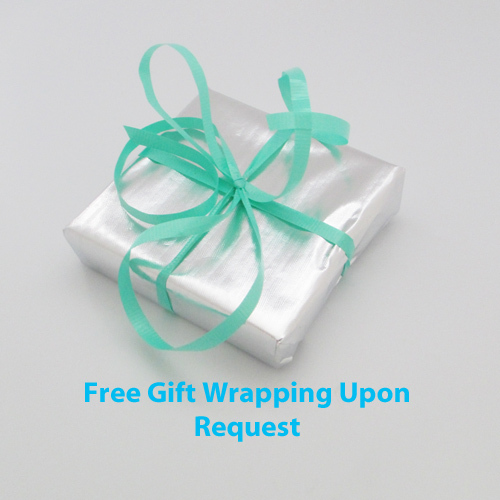 Fine silver is 99.9% pure and is tarnish resistant. The chain is a 2 mm sterling silver David Yourman style round box necklace that is available in 16″, !8″ or 20″ length. 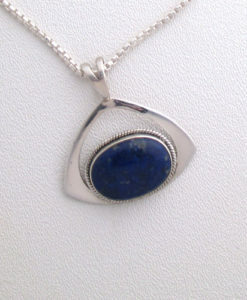 The pendant can be purchased for $95.